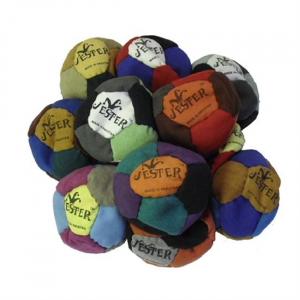 Their multi-paneled, professional grade footbags are the highest quality because they are very loosely filled with sand for maximum playability for doing footbag tricks. As found in in the best sporting goods stores nationwide. Durable imitation suede, choice of panel colors and high quality custom silk screened message. The 8 Panel model features a larger logo space than the 12, 14 or 32 Models. 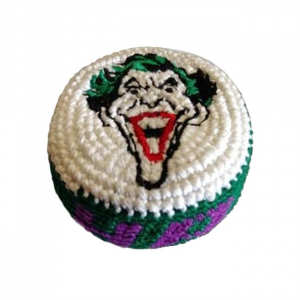 Let your love of nerdom and hacky sack out with these fun superhero crocheted footbags. Kick it with friends...literally! 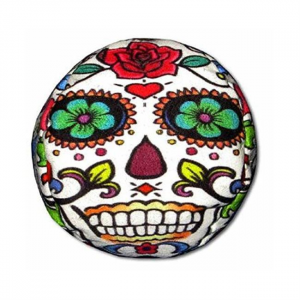 The Paneled Footbag Graphic Hack features your favorite graphics.